I would like to let you know what a pleasure it was to do business with you. I found your company after hours of getting the run around or extremely high prices from others while searching the web. Your staff was very friendly and my order was here in half the time I expected. To be honest, the quality of the medals blew me away. 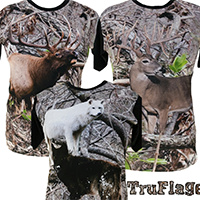 I will spread the word and send you guys as much business as possible. Guaranteed Lowest Price on Ribbons and Medals! AAA Award has the award for your event! 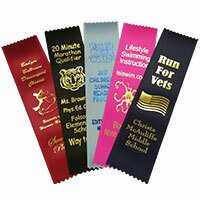 We offer our custom medals and award ribbons at wholesale prices to you! 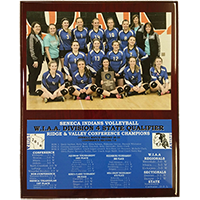 From custom sports awards such as basketball medals, hockey medals, football medals, swim medals, track medals, wrestling medals and soccer medals to custom award ribbons and academic awards, AAA Award has all your custom award needs covered! AAA Awards supplies a wide variety of wholesale, custom awards including sports medals and academic place ribbons in thousands of different styles. 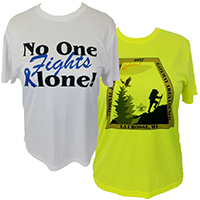 With wholesale pricing and bulk ordering, AAA Awards makes it easy to order awards and medals for any event or any organization and make every winner, participant, judge, instructor or donor feel recognized and appreciated. AAA Awards provides free shipping to the continental U.S. for large orders and minimal set-up fees, with no hidden charges or extra expenses. With simple and direct pricing, easy ordering and fast turnaround and delivery, you can plan your events with ease knowing you will have everything you need for your contestants and participants. Choose from a wide variety of colorful, elegant and striking medals and ribbons for your event or organization to signify and recognize any profound attribute, from victory and upstanding achievements to patriotism and citizenship to teamwork, participation and much more. Awards and medals validate the achievements of the recipient, giving them a sense of pride, completion, and victory at any age. These medals and ribbons recognize the hard work put in by individuals, the solidarity of a team and the importance of the event itself. AAA Awards strives to make every award with precision and beauty while making each award affordable and easy to customize to your event, so your contestants will feel validated and you can be proud to present each award. Each award and ribbon display a distinguished design so they can be used for groups and events at any age. 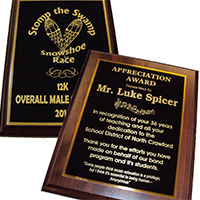 You can easily add a logo, picture or another icon to your different awards or trophies, displaying the name of your business, charity, school or mascot. You can also choose from many iconic images displaying different sports or scholastic achievements, or medals and ribbons with first, second or third place icons. AAA Awards understands the importance of each sport, scholarly achievement, club, donation, and event, and gives you a range of options to find the ideal honor for each occasion. With custom ribbons in a variety of different designs, you do not have to add extra expenses to your event to make your contestants feel special. Ribbons are an easy and affordable way to recognize participants as well as competition winners and give everyone a sense of pride. Students, athletes and event contestants can all receive a stately ribbon proudly showing their affiliation with the school, group, sport, charity or event. With custom ribbons as affordable as .14 cents per item, you can easily order thousands of ribbons for your entire organization, camp, church, school, workplace or another group. Ribbons can be customized with different fonts, text, colors, and pictures so you can display the honor and the organization prominently in the style you choose. Ribbons are available in varying sizes and can be sticky, so judges, instructors, speakers, honored guests and others can wear them. AAA Awards will add custom logos or pictures to your ribbons or choose from a variety of stock photos for particular sports or achievements, such as running, football, soccer, hockey, swimming, track, academic excellence, perfect attendance and more. You can give your top contestants first, second and third place ribbons, customize ribbons for other places, and order ribbons to honor participation in the event. Gold, silver and bronze medals show students, scholars, and athletes they are at the top of their field or sport. Winning a gold medal instills an immediate sense of pride in both young competitors and adults that encourage them to continue to achieve their goals. Winning medals shows students and athletes the power of hard work, cooperation, and dedication. To honor these achievements, AAA Award provides a wide range of detailed medals. You can find medals in dozens of different sports, including football, soccer, baseball, basketball, hockey, swim, track, tennis, wrestling, lacrosse, boxing, dance, cheer, gymnastics, karate, softball, volleyball, bowling, archery, golf and many more. You can also find awards by interest and by club, including music, billiards, chess, choir, church group, piano, drama and more. For those who show exceptional attributes within their field or club, there are also medals for citizenship, teamwork, patriotism, leadership, dedication, most improvement and other areas of excellence. 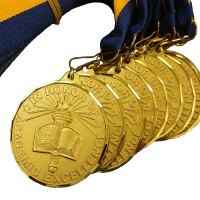 Many medals for scholarly achievements are also available, with distinctive designs for different subjects including math, science, spelling, reading, art, literature, general scholastic achievements, perfect attendance, honor roll and much more. You can choose from gold, silver or bronze engraved metals, die castmedals or enamel medals with other colors. Look through the ribbon designs to find the right ribbon for your upcoming event or see the many different medal designs to find your sport, club or scholastic achievement. To find a specific medal, for more information in placing bulk wholesale orders or for assistance in customizing your order, call 1-888-203-5430 or Contact Us.